Do you think that staircases are boring? These Awesome DIY Staircase Makeovers will cause you to reconsider. 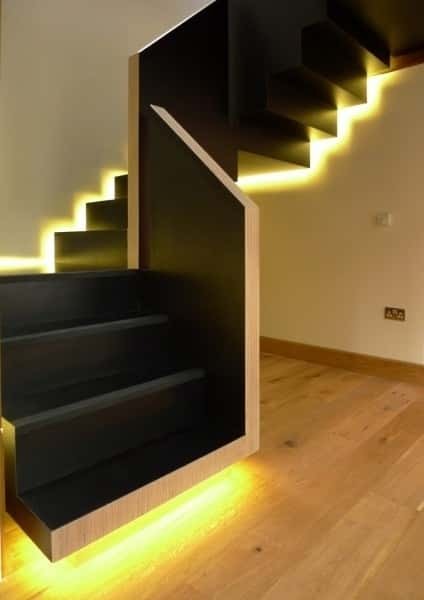 A staircase can in fact be an amazing enhancement to the decor in your home. 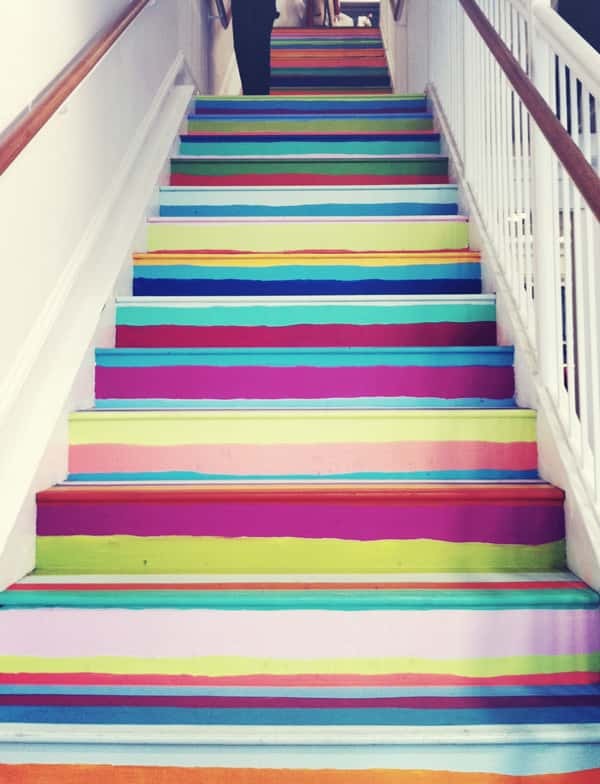 No matter what your style is, there is a way to make your staircase cooler! 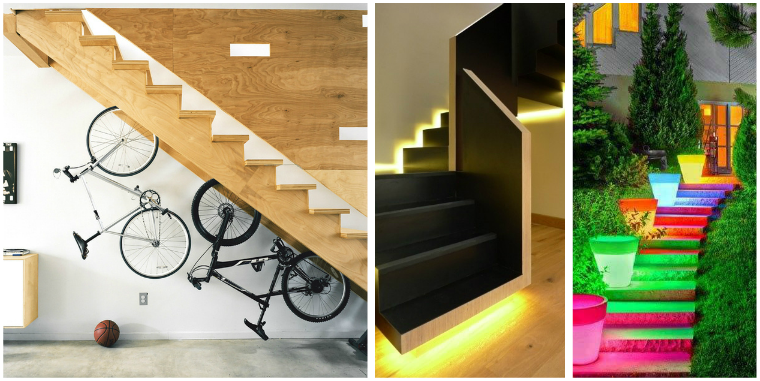 The space underneath a staircase can often be wasted. 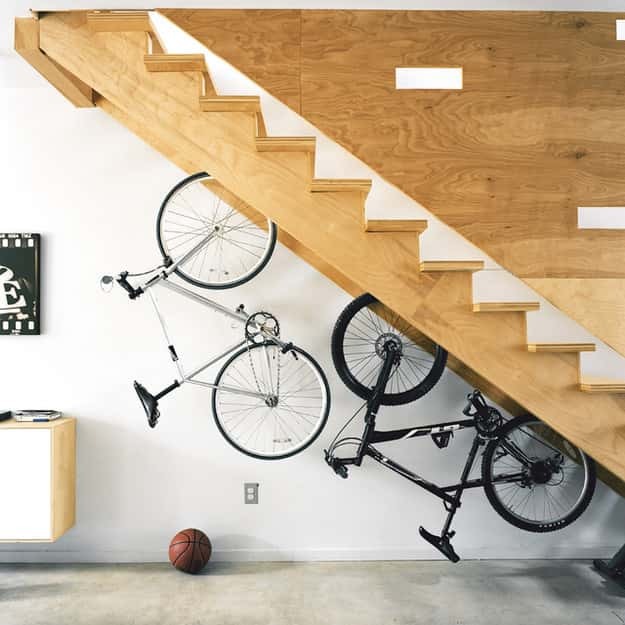 This is a great area to store bicycles or other large equipment that looks out of place in other areas of your home. Surfboards, skateboards or skis can all be stored here. Thin carefully about planning under stair storage areas so that the area does not look too cluttered. If your home has a more formal appeal some well placed lighting can make an amazing difference. This also works well in garden areas. 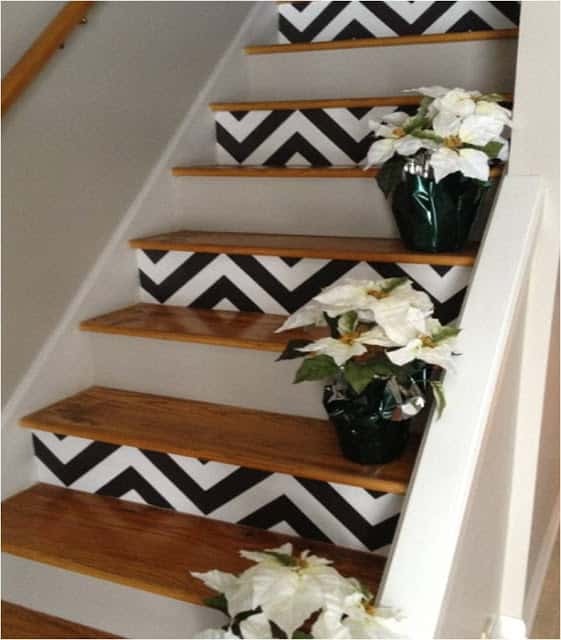 Wallpaper is a fantastic and inexpensive way to give your stairs a makeover. This look needn't cost a lot either. Many places sell wallpaper off cuts or roll ends at a discounted price. This is perfect if you want to create a collage style look like the one shown. ^ Rainbow stairs! This is a lovely idea for a family home bright and attractive! 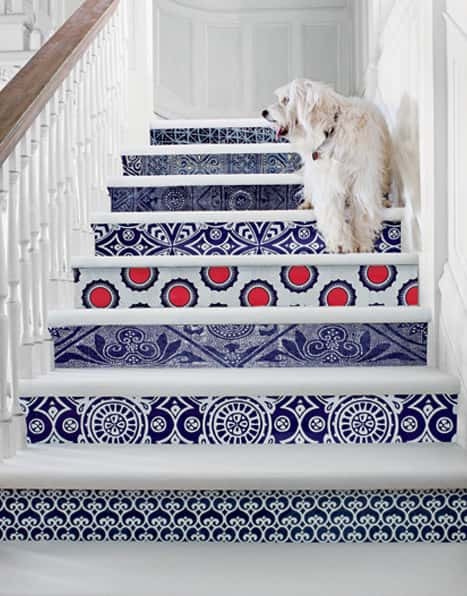 If you like the idea of the wallpapered stairs above but would prefer a more uniform pattern than this look may be for you. You can achieve this by using wallpaper or you can paint it on. 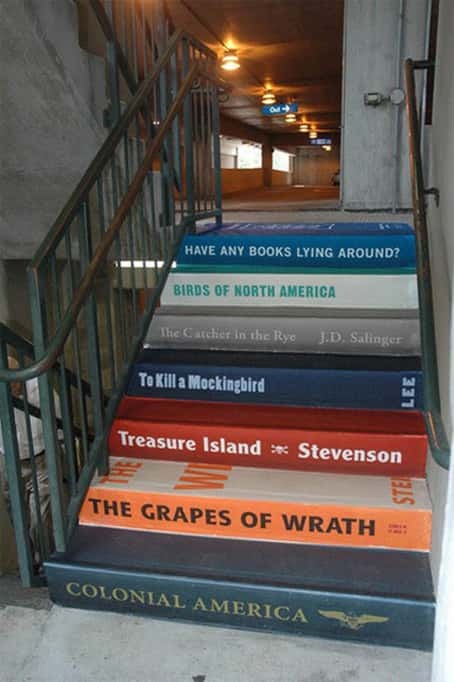 This is a fun idea for book lovers of for stairs located in a school or library. 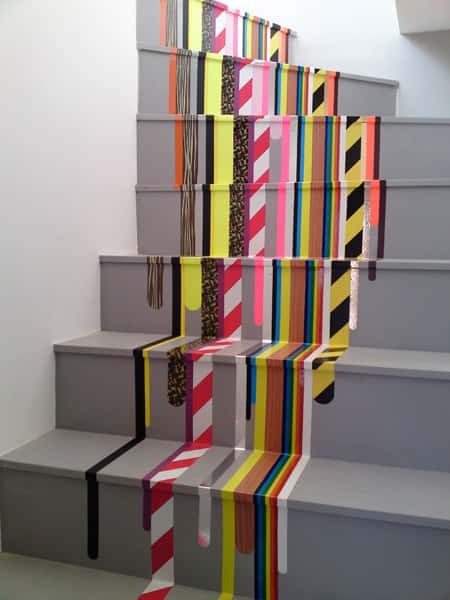 ^ A great way to enhance plain colored stairs. You can use strips of wallpaper to achieve this or paint it on. Nautical styled stairs look amazing in any seaside home. 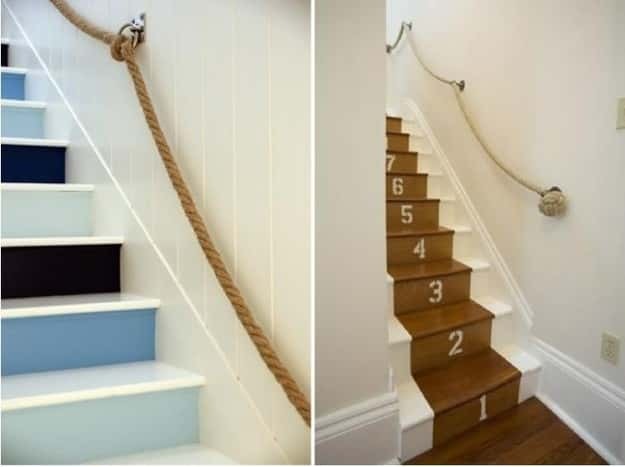 Using rope as a stair rail gives an interesting seaside appeal. 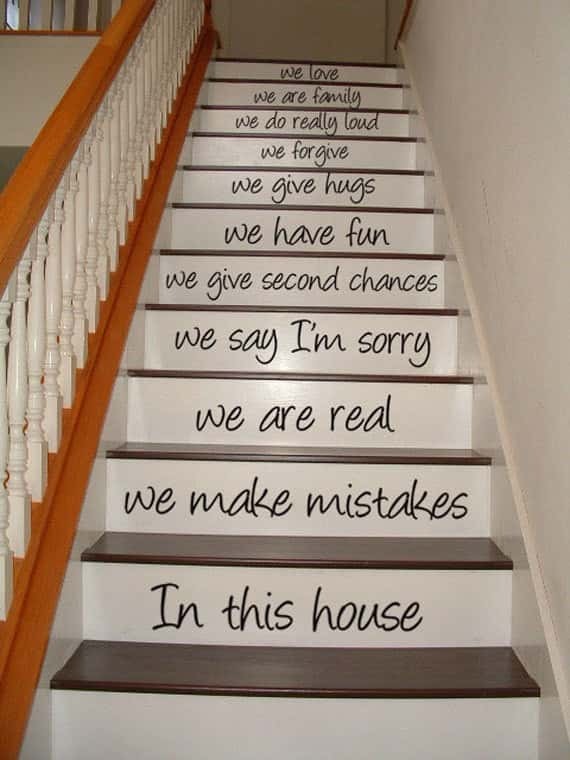 Put an inspirational quote on your stairs, it looks cool and may give you a pick up when you are not feeling great!